Learn about how the income statement, balance sheet, and cash flow statement are interconnected and used to analyze company performance. 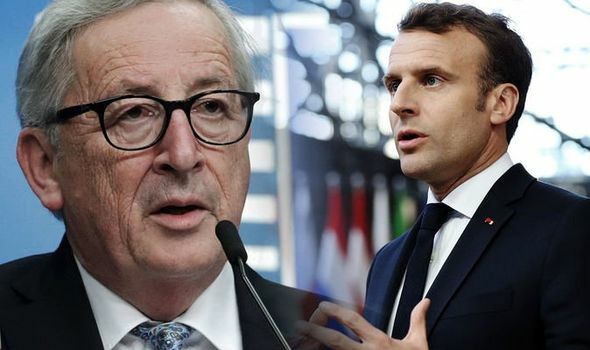 FRENCH President Emmanuel Macron last night infuriated his European Union colleagues in a desperate bid to thwart an effort to offer Theresa May a long Brexit delay. 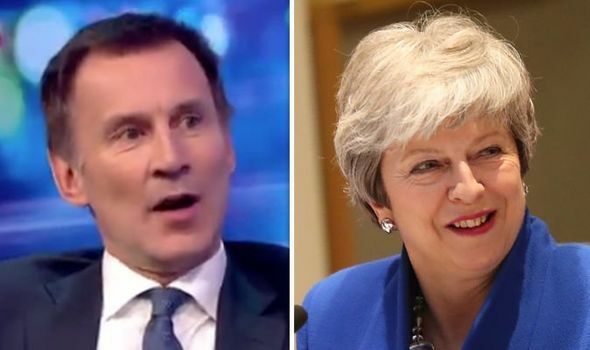 JEREMY HUNT has confirmed that a general election would be “catastrophic” for the Conservative Party if they did not deliver Brexit during an interview on ITV’s Robert Peston on Wednesday night. Despite their century-long struggles and achievements, the stories of women MPs have often been overlooked in political histories, writes Rachel Reeves MP. She draws on her new book to highlight the many battles fought by the women of Westminster since 1919. Note: Rachel Reeves will be speaking about her new book at the LSE today. ‘Women have worked very hard. They have starved in prison, they have given their lives, or have given all their time, in order that women might sit in this House and take part in the legislation of the country’. These were the words of Ellen Wilkinson, the fiery left-wing Labour MP who was elected in 1924 and became one of the first Labour women in Parliament. Just five years prior to Wilkinson’s election, the first woman to take her seat – Nancy Astor – was elected as an MP. Since Astor and Wilkinson’s time, women MPs in Parliament have revolutionised both the policy and the culture of Westminster. The effects of the campaigns that they fought – on issues from equal guardianship of children to equal pay – lives on today in all of our lives. Yet all too often, the histories and the successes of these brilliant women have been ignored and omitted from the history books. My new book, Women of Westminster: The MPs Who Changed Politics, attempts to write some of those women back into history. It all started with the first two female MPs to take their seats in Parliament – Conservative MP Nancy Astor and her Liberal colleague, Margaret Wintringham. Despite being from different parties and being temperamentally very different (Astor was spirited where Wintringham was sensible), the two women were very close, and supported each other in their campaigns. Wintringham once affectionately called Astor as a ‘prancing pony’, with herself being the ‘carthorse’ trotting steadily alongside. Together, in 1925 they successfully passed legislation for the equal guardianship of children, reversing the status quo in which women had no rights to their children in case of divorce or separation. It has been described by some as the first piece of ‘feminist’ legislation. While Astor and Wintringham felt a particular need to represent women’s interests as the only two women MPs, the tradition has continued throughout history. Independent MP from 1929, Eleanor Rathbone, was a passionate campaigner and lobbyist for family allowances – regular payments to mothers to help with the costs of having children. After her 25-year campaign in which she gained the support and advocacy of William Beveridge, in 1944 her vision became a reality. Family allowances were the forerunners of what we know as child benefit today – a policy taken forward by Barbara Castle in the 1970s and Yvette Cooper in the 2000s. On many of these issues, women MPs have found strength in numbers by working cross-party. When I interviewed Shirley Summerskill, Labour MP from 1964, she emphasised that ‘fighting for equal pay brought women together, whatever party’. During the Second World War, a cross-party group of women MPs came together to create the Equal Pay Campaign Committee, lobbying for equal treatment of the newly-recruited women in the war effort. In 1944, Conservative MP Thelma Cazalet-Keir tabled a successful amendment for equal pay for teachers, which the government virulently opposed. It was the only vote that Churchill lost during the war. He was furious, chastising her that equal pay was like ‘trying to put an elephant in a perambulator’. He overturned the amendment by making it into a vote of confidence in the government, which he won resoundingly. But Cazalet-Keir had bravely put equal pay on the political map. It was not until 1970 that Labour MP and Secretary of State, Barbara Castle, was able to implement legislation to enshrine the principle of equal pay for equal work into legislation. Thanks to Castle and the women who went before her, equal pay is now a legal reality. But a gender pay gap of 18% persists. The tireless work of Liberal Democrat Jo Swinson within the Coalition government to implement the mandatory reporting of businesses’ gender pay gaps has become yet another chapter in the equal pay story. Of course, one of the most seismic moments for women in Parliament was the 1997 election. 101 of the 121 women MPs elected were Labour, ushered in on the wave of a landslide, all-women’s-shortlists and tireless campaigning from Harriet Harman, Angela Eagle and others to increase the representation of women. This boost in the sheer number of women MPs led to an unprecedented representation of women’s interests in policymaking. Tessa Jowell introduced SureStart children’s centres to improve the choices available to mothers from disadvantaged backgrounds. Harriet Harman also pioneered the National Childcare Strategy and National Minimum Wage, both of which had a disproportionate impact on women. In 2017, a record number of women MPs were elected. From Jess Phillips’s cross-party work to tackle domestic abuse, to Stella Creasy’s campaign to improve access to abortion for Northern Irish women, to Theresa May’s action on human trafficking and modern slavery as Home Secretary, women continue to fight for causes that disproportionately impact women. These causes should not be viewed as an essentialist pigeonhole – the fact is, women’s interests should be seen as mainstream, and men all too often have failed to represent them. The very concept of ‘women’s issues’ presumes that women are an abnormal subset of the population. Childcare policy, for example, is just as much about encouraging men to take a greater role in caregiving as it is about giving women the opportunity to enter the labour market. In shaping the political agenda, women MPs haven’t just changed the content of policies. They have also changed the culture of politics. When Nancy Astor arrived in Parliament, she summed up the attitude of her male colleagues by saying that ‘They would rather have had a rattlesnake than me in the chamber’. When trying to get to her seat, she was physically obstructed by the men sitting on her row. She pushed past them regardless. In 1919, the parliamentary authorities found accommodation for them in the Lady Members’ Room, a dingy small room in the basement that the women dubbed ‘the dungeon’. The Lady Members’ Room was the only space in the male-oriented Parliamentary estate where the women MPs could work, dress or relax. When Ellen Wilkinson was elected, she decided to defy convention by entering the Smoking Room. She was stopped at the door by a policeman who informed her that ladies did not usually enter. ‘I am not a lady,’ she responded curtly. ‘I am a Member of Parliament,’ as she pushed the door open. These acts of defiance, determination and courage brought about a sea change in the cosy male club that had previously existed. Parliament has its fair share of problems today, but the situation has improved drastically since 1919: we now have a parliamentary nursery, every woman MP has her own office, and maternity and paternity leave for MPs has finally been introduced after the campaigning of Harriet Harman and Maria Miller. 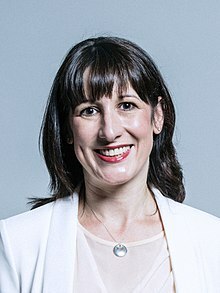 Rachel Reeves is the Labour MP for Leeds West and Chair of the Business, Energy and Industrial Strategy Committee. Her book, Women of Westminster: The MPs That Changed Politics, is out now. Although the FOMC minutes affirmed low rates for longer, stocks were flat as investors await earnings and bank stocks price in more risk.